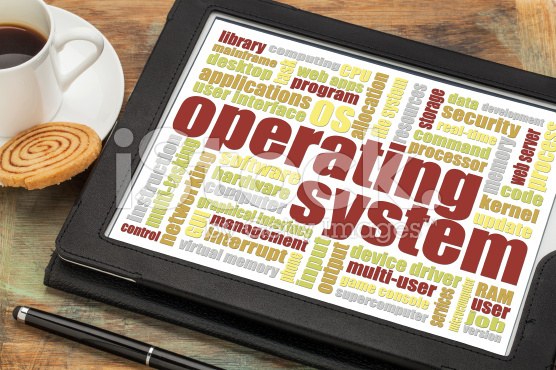 Summary: Difference Between Server Operating Systems and Embedded Operating Systems is a server operating system is an operating system that is designed specifically to support a network. The operating system on most mobile devices and many consumer electronics, called an embedded operating system. The operating system on most mobile devices and many consumer electronics, called an embedded operating system, resides on a ROM chip. Popular embedded operating systems include Windows Embedded CE, Windows Phone 7, Palm OS, iPhone OS, BlackBerry, Google Android, embedded Linux, and Symbian OS. Windows Embedded CE is a scaled-down Windows operating system designed for use on communications, entertainment, and computing devices with limited functionality. Examples of devices that use Windows Embedded CE include VoIP telephones, digital cameras, point-of sale terminals, automated teller machines, digital photo frames, fuel pumps, handheld navigation devices, portable media players, ticket machines, and computerized sewing machines. Windows Phone 7, which is a successor to Windows Mobile, works on specific types of smart phones. With the Windows Phone 7 operating system and a compatible device, users have access to the basic PIM (personal information manager) functions such as contact lists, schedules, tasks, calendars, and notes. These devices also can check e-mail, browse the Web, listen to music, take pictures or record video, watch a video, send and receive text messages and instant messages, record a voice message, manage finances, view a map, read an e-book, or play a game. Palm OS, a competing operating system to Windows Phone 7, runs on smart phones and PDAs. With Palm OS and a compatible device, users manage schedules and contacts, phone messages, notes, tasks and address lists, and appointments. Many Palm OS devices allow users to connect wirelessly to the Internet; browse the Web; send and receive e-mail messages, text messages, and instant messages; listen to music; record voice messages; and view digital photos. iPhone OS is an operating system for the iPhone and iPod touch. With finger motions, users can manage contacts and notes, send and receive e-mail and text messages, take pictures, record videos, record voice messages, view a compass, connect to the Internet wirelessly and browse the Web, check stocks, access maps and obtain directions, listen to music, watch movies and videos, and display photos. iPhone OS devices also provide Wi-Fi access to the iTunes Music Store. The BlackBerry operating system runs on handheld devices supplied by RIM (Research In Motion). BlackBerry devices provide PIM, phone, and wireless capabilities such as sending e-mail messages, text messages, and instant messages; connecting to the Internet and browsing the Web; and accessing Bluetooth devices. Some also allow you to take pictures, play music, and access maps and directions. Google Android is an operating system designed by Google for mobile devices. Used on more than 20 different types of mobile devices, Google Android allows programmers to design programs specifically for devices supporting this operating system. Google Android contains features such as access to e-mail accounts, an alarm clock, video capture, access to Google Apps, Wi-Fi access, and easy Web browsing. Embedded Linux is a scaled-down Linux operating system designed for smart phones, PDAs, portable media players, Internet telephones, and many other types of devices and computers requiring an embedded operating system. Devices with embedded Linux offer calendar and address book and other PIM functions, touch screens, and handwriting recognition. Symbian OS is an open source multitasking operating system designed for smart phones. Users enter data by pressing keys on the keypad or keyboard, touching the screen, and writing on the screen with a stylus.